This session is for those looking for a stronger vinyasa class - advanced postures and sequences will be explored safely and progressively. Vinyasa yoga classes use linked asanas (poses) with the breath to create a flowing series of movements. A vinyasa yoga practice leaves you feeling relaxed and energised in mind and body. 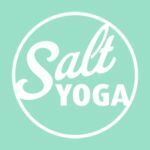 Yoga experience is required however this class is suitable for anyone looking to deepen their practice.